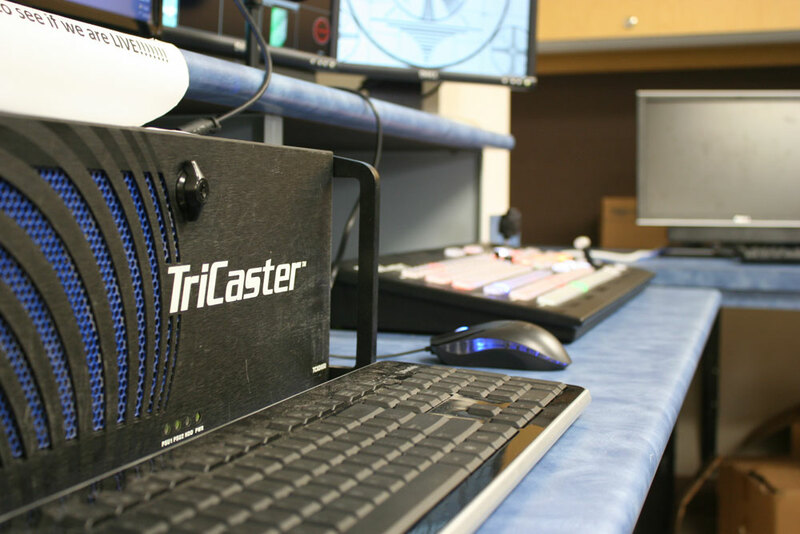 Encore Broadcast Solutions introduced the NewTek TriCaster TCXD850 rack-mounted production system to Pinellas County Schools to take their ability to both stream and record a live production to the next level as they stepped into the digital future. 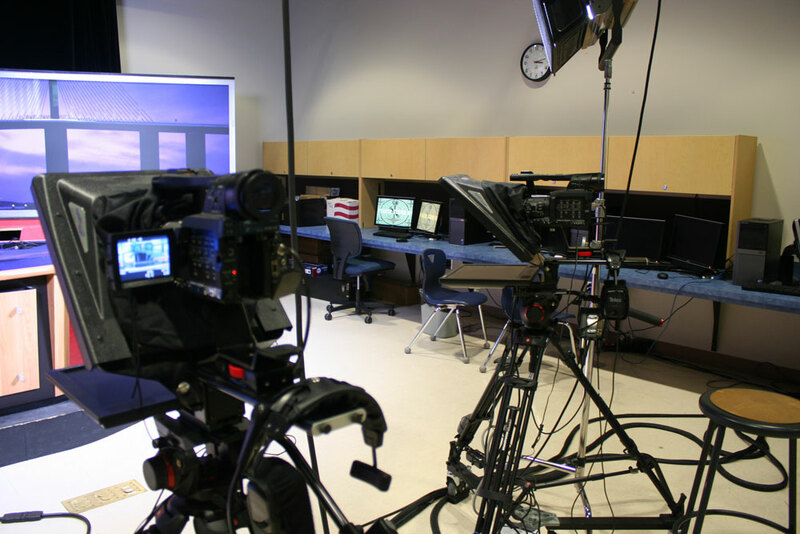 We used three Panasonic AG-HPX170 cameras with Prompter People FLEX 17 teleprompters supported by Manfrotto heavy duty tripods. Six Shure lavalier wired microphones and condenser lapel microphones were used with a 50 ft. stage box, 16 channel audio snake from RapcoHorizon. 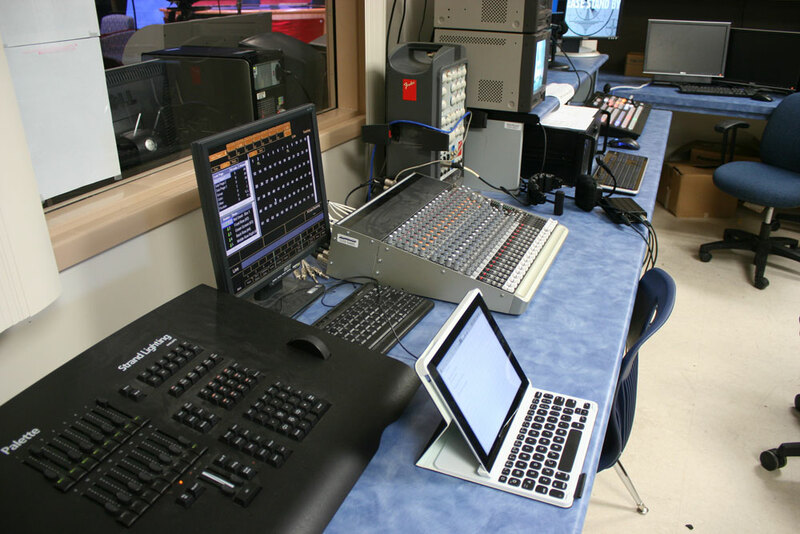 Encore also incorporated a Mackie 1604 audio mixer. 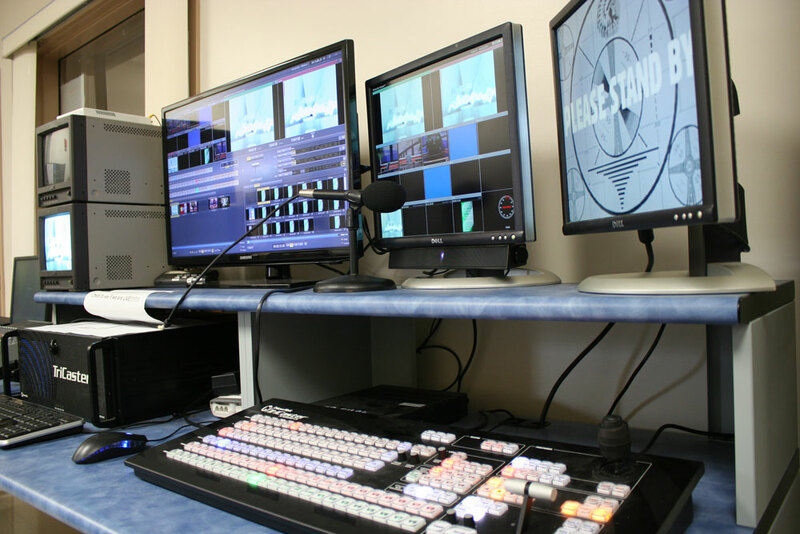 To complement the design two full PrimeTime Lighting KW2 systems were installed. 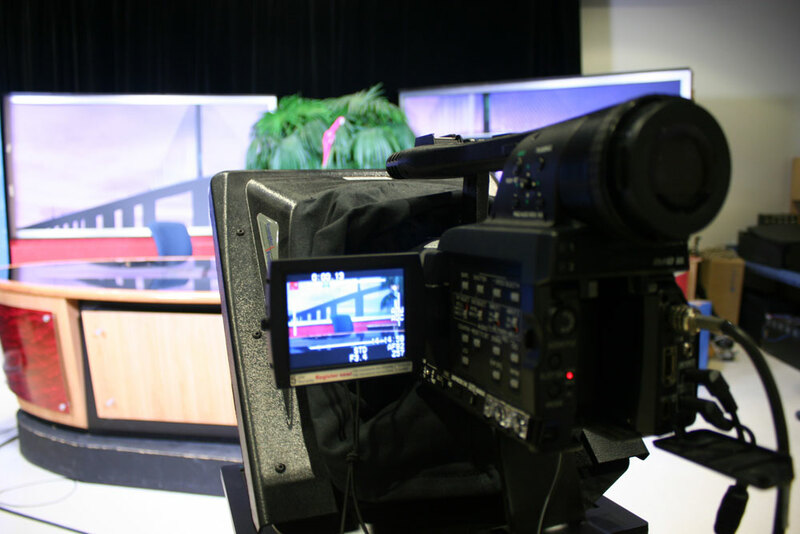 When you contract with Encore you will quickly realize our expertise in broadcast studio design and we’ll take you above and beyond the average school studio system. 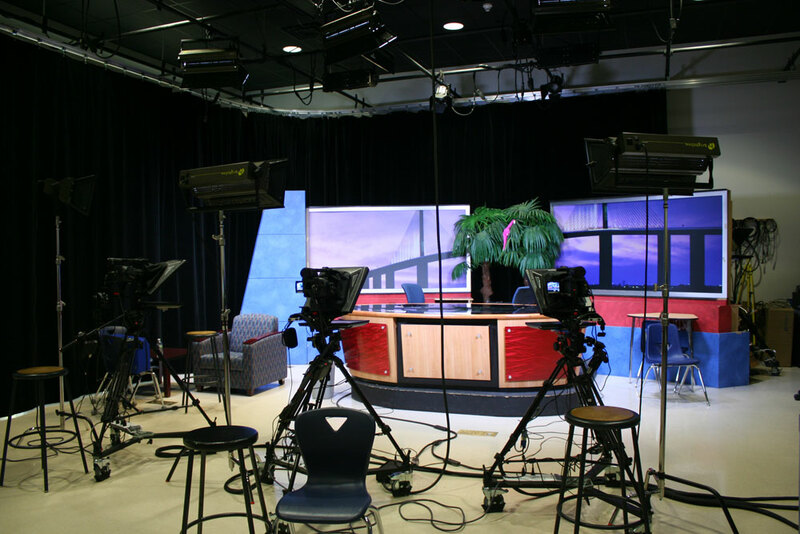 Boca Ciega High School utilized a full system training session from Encore and later ordered three field packages for this studio including cameras, microphones, tripods and SD cards for their ENG (Electronic News Gathering). 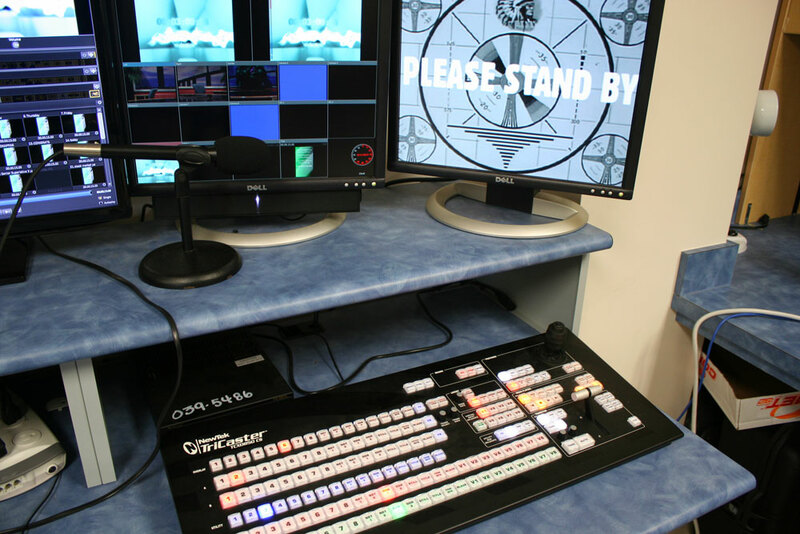 The students now have the technology to enrich, reinforce and accomplish their goals of sharing their productions and learning how to be a Broadcast Professional.